I attended a college where “a ring by spring or your money back” wasn’t just a joke. Several weeks into the school year it would inevitably happen: couples started pairing off after connecting in class or through a brother/sister floor event. Pretty soon they would be meeting over coffee and tater tots in the back room of the cafeteria for pre-class Bible study, sitting next to each other in chapel, and attending the Winter Formal together. As the snow finally went away and the smells of small-town Midwest filled the air, happy announcements abounded and diamonds twinkled on left hands throughout campus. As I attended a Christian college, there were plenty of quick, reassuring responses that most often were somewhat based on Scripture. “Trust God,” the older and wiser commanded. The verse that seemed on everyone’s minds and lips was this, from Psalm 37:4: “Delight yourself in the Lord and He will give you the desires of your heart”. Interpretation: You just have to delight in God and when you’ve done that, He’ll give you the desire of your heart (namely, a husband in this instance). 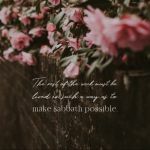 I was rather skeptical of this advice that put the power of change firmly in my court, wondering how I was supposed to know when I would reach that magic level of delighting in God that would cause Him to nudge Mr. Right out from hiding and in my direction. I thought I loved God. I read my Bible every day, even after late nights of studying, I went to church on Sundays, I went to chapel almost every day even when I had built up enough credits. I truly desired a relationship with God that was more than just outward actions. This concept of delighting enough continued to puzzle me after graduation and along the path of preparation for a life overseas as one of the biggest desires in my heart still remained unfulfilled. Finally, one day during pre-field training, I was on my knees in my room begging God to answer a prayer I had been specifically praying for over a year. It seemed so close, and I was tempted to take matters into my own hands and make it happen. I don’t think I heard God’s voice audibly that day, but His Words struck the deepest part of my heart. God giving me the desires of my heart wasn’t so much about granting my every wish, but about Him putting the desires there that He wanted me to have. 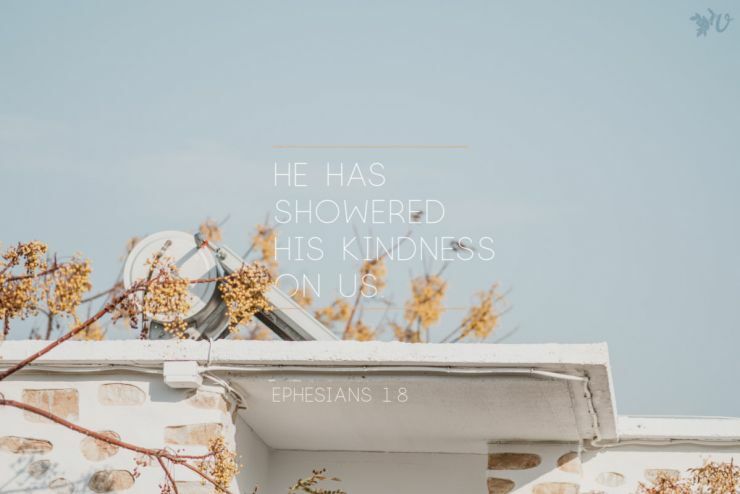 It is about knowing Him so intimately, finding joy in obeying Him and delighting in who He is, and then allowing Him to shape my prayers and hopes and dreams. It is about His power at work within me, the power of trusting Him and giving everything up to Him. This has changed the way I pray for my family, the people I have been called to live among in this season, and for myself. It has changed the way I look at the desires in my heart and the power they hold over me if I let them. 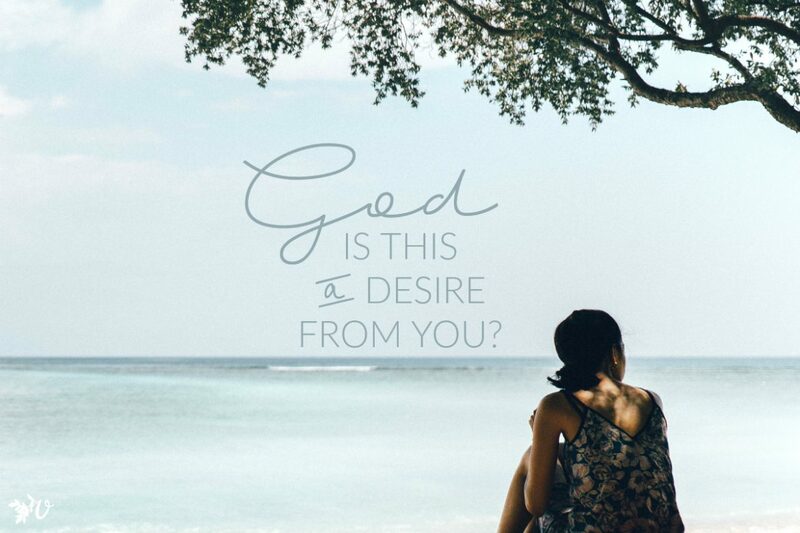 It requires holding things up for heavenly scrutiny in order to ask, “God, is this a desire that is from You?” It increases my perseverance in prayer when I trust a God-given desire has been planted for a purpose. I also have to press in close to the heart of my Father, to try to know and fear Him, to be amazed at how awesome He is and how He somehow cares for me and wants to shape the things for which my heart yearns. There’s no “magic formula” or level of delighting that we can get to. But we must slow, to delight and listen close. I’m still waiting for my ring, many springs after college finished. In the meantime, I think I’ve learned a bit more about the power of the giver and fulfiller of the very best dreams and desires. Have you ever struggled with taking control and using your power to make things happen when the answer feels far away? How have you grown in trusting God’s power to give and fulfill your dreams and desires? Um, yes. For me, it is often more God’s pace is much slower than mine. I’m a take-charge, let’s get going! Kind of a person. God seems much more taken with meandering and what’s going on inside of me, than where we are going :)! 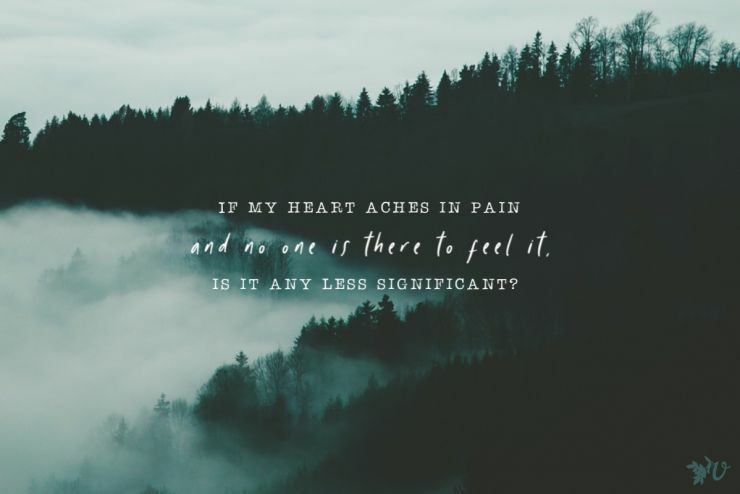 I’m sort of camping out in the realm of your last sentence, trying to rest in it- that God cares more about what’s going on in my heart than where I’m going. Amy, you make me laugh. I wish the answer to that question really was that easy…but yeah, it hits a lot closer to home. Oh Sarah, as I read this, I just cringed. NOT at you or your story, but at the Christian culture that has failed you (and many others along with you). But I also think Christian culture has failed you — BIG time — in the “desires of your heart” discussion. I’m so thankful you saw through that false message and can now share your experiences with others. Preach it sister! God is not a cosmic vending machine — although I know I’ve treated Him like that, specifically in the area of children. When I wanted children, I thought I could just pluck Psalm 127 out of my back pocket and demand a baby from God, in my preferred timing. And when I didn’t want a baby, I could just tuck the verse back in my pocket to save for later. Yuck. Yucky me. It took a lot of wrestling for me to learn that God is not a cosmic vending machine, and that I shouldn’t treat Him like one. Anyway, back to you — I love that you’ve picked apart the idea of delighting in God as a “work” that earns God’s favor and blessing! Thank you for sharing here. Thanks for sharing this! I am definitely still learning to ask God to shine His light in my heart, to separate the desires and motivations that are not meant to be and the ones that He wants for me. It is so sad to me that there are still so many people that want to earn God’s favor in order to get want they want, and share that advice with others. I think this limits our understanding of how amazing God is, how intimately He knows us and knows the bigger picture that we can’t see. I’ve been thinking more about this, Sarah, and the thought occurred to me that the “desires of your heart” idea doesn’t work the other way around. Just because someone gets married, doesn’t mean they were “delighting in the Lord.” Lots of people get married who aren’t cultivating their relationship with God, or who don’t even believe at all. Same goes for babies. Lots of women get pregnant when they are not delighting in the Lord or even want a baby. So ignoring theology and just thinking logically, this kind of thinking doesn’t work. Why did we (collective western Christianity “we”) ever think it would or does? I really liked how Kathy added the Hebrew meaning below. Very helpful. I remember struggling with peoples’ interpretations of Psalm 37:4, even hearing sermons about it, thinking that it sounded as if we could manipulate God to get what we want, and I knew that the intimate walk with His that I desired was not about getting what I wanted. When discussing this with a dear friend, we looked more deeply into the translation of that verse, and we discovered that “will give you” could also be translated “will implant in you”. Wow! God would implant His desires in my heart as my desires! That made this verse fit with the character and sovereignty of God. As a child, God had implanted in me a desire to serve Him in Africa as an overseas worker, and at that time (I was 53 years old) He was reviving that desire that He had implanted so long ago. Now I am here in Africa, and I know that I am living out the fulfillment of that desire that God planted in my heart so long ago. I love the Hebrew background Kathy! Thank you for sharing this perspective, Kathy! “Will implant in you” is exactly the image that God has given me. How cool to see how He has done that in your life! but about Him putting the desires there that He wanted me to have”! Sarah, I love this. So much to think about. It is so hard. We had the same “ring by spring” mentality. There was so much heartbreak for all the girls for whom that didn’t happen. (We also had a school with a 2:1 ratio of girls to boys. The odds were NOT in our favor). I remember dealing with a lot of these same questions in college. The harder part for me actually came several years later…once I did get into a relationship. It was around that same time that I completely fell apart. It wasn’t because of the relationship, but still it happened. 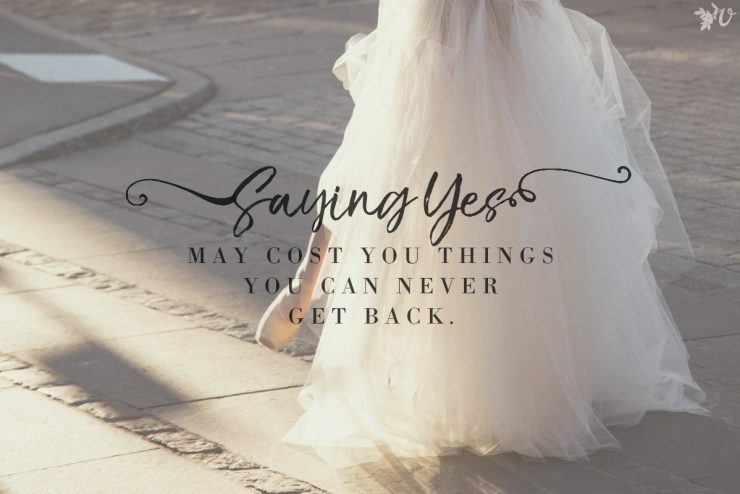 I don’t even know if it was conscious, but there was this idea of hanging on until I found the man I was going to marry, and then everything would be great! HA! This road has been way longer than I want. It has been harder. I am still in a stage of waiting for the proper time. I’ve had lots of moments where I wondered if something was wrong with me. Was I not desiring God enough and that was why I didn’t end up with the smooth path to marriage that friends had? I loved how Elizabeth talked about how it doesn’t work the other way around. Just because you get the marriage or the baby or whatever doesn’t mean you are delighting in God. It is heartbreaking to me how often that thought pattern did seem to creep in. People got what they wanted and counted it as evidence as delighting in God. Sarah, I’m pretty sure we are close to the same age…I don’t know about you, but I’m already starting to watch the marriages of friends fall apart. I’ve been sobered by the fact that maybe we got it all wrong. There needs to be a shift in our collective thinking. Because it isn’t just about marriage or babies…this covers so many areas of life. I’m pretty sure I’m going to stop making sense and start rambling here soon. Thank you for these ideas and questions. It is such an important discussion to have. Emily, thank you for sharing your story and thoughts! I agree, I think we need a major shift in our thinking. We can’t manipulate God to answer our prayers by our own actions, and yet He gives us great gifts that we don’t deserve. By obeying God we don’t guarantee a smooth path (I’ve had so many people tell me God has a special “protection” for m’s and their families), and even when we suffer the consequences for our disobedience, God can still bring redemption and beauty because He is so much more powerful than our circumstances. “God giving me the desires of my heart wasn’t so much about granting my every wish, but about Him putting the desires there that He wanted me to have.” Amen! This viewpoint on this verse has blessed me many many times over the years. And I’ve found it so true in this area of marriage. I also had this idea that once I’d “measured up to the requirements,” then it would be God’s time for me to be married. But as I’ve delighted myself in Him, He has changed my desires. Not that I don’t still feel those natural desires for marriage sometimes. But He’s implanted in me a desire for singleness, too; a delight and contentment in living out His calling on my life as a single and rejoicing in my own marvelous Beloved. Love this. And I’m late to this discussion but I wanted to chime in on the last bit about “seeing friends’ marriages fail”. I think that has been one of the single hardest challenges in my recent life is to watch people who were friends at uni and “good christians” in some ways break up. But I wonder if they didn’t go through all the blood sweat and guts, and marriage is hard tough hard tough, hard tough sometimes/oftentimes and then there’s beautiful bits and security and intimacy too..
And I want to preach to younger girls (and some of us who are slightly older!) that just getting a ring on your finger is not what you want. You need to be sure you have worked through big issues (as best as we can – there may always be others out there! 😉 ) and know 100 percent (or as best as your level of 100 percent would be – like with 98 percent certainty that this is a person who’s character you trust and you can and want to grow alongside for life. FOR LIFE. Whatever that throws at you. And then by the grace of God we somehow manage to keep going at this marriage lark.. somedays with blood and sweat and tears outpouring, some days more easily and joyfully. I was thinking that having worked for a substantial period of time with Roman Catholics how I really value their concept of singleness and honouring of that state. (And of mothers. Actually our Catholic friends have so much to teach us.) Our saviour was single, after all, and we are called to be like him – and not as a penance but remembering there is nothing “wrong” with us if we are single – we are not necessarily made to be married or Jesus couldn’t have been whole – and who would claim that? 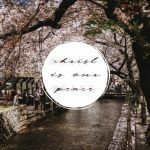 The Western Evangelical church, particularly, has amped up the “normalcy” of marriage – even to the extent that I once heard that Jesus was only single because he knew he was going to die so he was a very specific exception. Gah! Ellie, I’m so glad you added to this discussion! I agree with so much of what you said. I am home in the States right now and my church has a ladies’ Sunday school class that is studying godly womanhood. There’s nothing wrong with this topic, but the assumption is you either are married or will be someday. 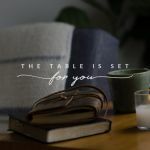 It has been discouraging as a single woman who really has no idea if God will ever open up the door for marriage to feel like I have no place in the discussion. I think that we need to see both marriage and singleness as a gift as we strive to be more like Christ, and desire the things He has for us. Thank you so much for sharing your thoughts!! Thank you so much for writting this!! It’s good to know that you´re not alone in singleness. For many years I struggled trying to take control over my singleness, but through the years, growing deeper in my relationship with God, He has given me new desires, now singleness doesn’t seem so bad 🙂 I still want to get married though, but I´m thankful with the Lord for giving me more years to realize that He is God and not me, and that He is good indeed.